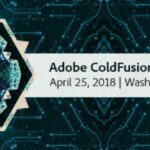 Each year Adobe organizes ColdFusion Summit. It is held in Las Vegas, Nevada. This year it will be in Hard Rock Hotel and Casino, October 1 – 3, 2018. 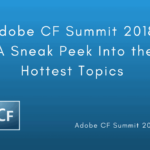 Of course, let's not forget the CF Summit East 2018 which was held a few months ago on the east coast. After all the conferences about ColdFusion this year, this always feels like a nice topping at the end. And, since it's THE event, all the CFers are talking about it already. Adobe never sleeps. Some of the webinars are already happening and some other interesting stuff. Let's dig in and see what it is and what we can expect. 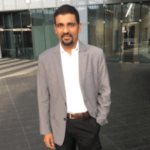 and the topics were about the new features in the upcoming release and direction of Adobe ColdFusion along with more detailed plans over the next couple of years. Adobe held a series of Roadshows on the East Coast starting from April this year. It was so cool to see how many CFers (not only from East Coast) came to see these. 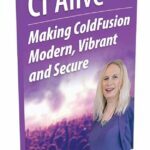 This is little something for the die-hard fans of ColdFusion. Well, not really. This is something that i recommend everyone should come and see. And LEARN. As much as the conference itself is fun and interesting and informational, sometimes I do feel this is when I learn most about the new stuff and I do get the time to digest it all. Also, it gives me some time to prepare for the main event. Make sure you bring your laptop and don't worry- trial editions of the software to be used (including ColdFusion) will be provided in advance or at the event (for windows and Linux). 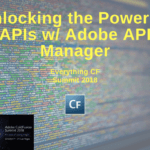 Related: Why You Should Attend Adobe ColdFusion Summit 2018? 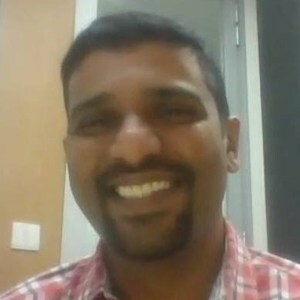 ← Previous Post Is Lucee CFML now better than Adobe ColdFusion?